We love the popularity of the Simple Whatnots Clubs by Kim Diehl and with this in mind, Kim has designed another large project for your Whatnot needs. The work of gathering scrappy fabrics has been done for you! 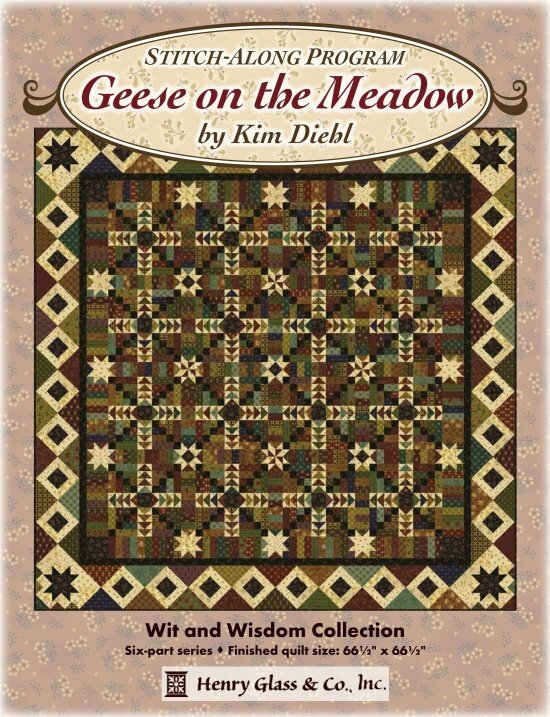 This fun Stitch-Along features Kim's newest fabric collection, Wit and Wisdom. These fabrics blend beautifully together and give the impression that many different prints have been gathered together. This fun 6 month block of the month program will begin in March. Be sure to call or stop by to sign up now as space is limited. Kits will include everything except the backing. Monthly kits may be picked up in store at anytime during the month.